The idea of ‘dieting’ only every other day may seem like an attractive one. However, it’s a controversial diet that challenges conventional views about how and when we should eat. Enter: Intermittent Fasting – chances are you’ve already tried it in one form or another. How long you choose to fast is entirely personal, and different styles will suit different people. It’s no good deciding that you’re going to be nil by mouth for an entire day if you’ve never done it before. Start small and progress from there. A good place to start would be to stop eating at 7pm and resume eating at 7am (12 hour fast), where you incorporate a period of sleep in the fasting window. Shift workers will have to adjust accordingly. Recall the adage: diminish your dinner and you will be thinner. Putting your own spin on an otherwise structured eating diet allows room for flexibility. This means, there’s no magical eating window to stick to. The flexible approach allows you to create that desired eating window at any point during the day [or night] to suit your schedule and lifestyle. It doesn’t have to be the same window day after day. When it’s time to eat, do so mindfully. 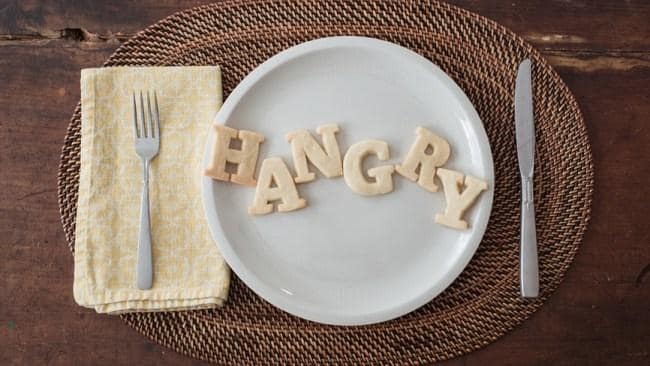 Eating slower, taking smaller bites, and removing mealtime distractions (including the TV and phone) have all been shown to boost satisfaction, and naturally prevent overeating. This strategy is especially effective for helping you make better eating choices and stick to a healthy eating habit – whether it’s labelled intermittent fasting or not. Be warned, Intermittent Fasting is not for everyone. Regardless of how long to choose to abstain from eating or reduce your energy intake, keep in mind that you need to eat healthy as well. Following the ‘everything in moderation’ rule usually ensures you maintain a sensible energy intake, which would also result in the calorie deficit you need to whittle the waistline – so choose whichever eating pattern you think you’ll find easiest to stick to and go from there. Still unsure about Fasting? You may also like the Diet That Actually Works?